← Journalists create world’s first artificial news story! Here is the monthly ranking of NZ blogs for May 2010. The 7 day rankings are still available any time at NZ blogs average daily visits. This monthly ranking has 163 blogs, 12 fewer than the 7 day ranking. This is because monthly figures are not available for sites using the Bravenet counter. I have done a bit of spring cleaning to remove blogs which no longer make their stats publicly available. The blogs are listed in the table below, together with monthly visits and page view numbers for June, 2010. This entry was posted in blogging, New Zealand, NZ blog rankings, SciBlogs and tagged blog, New Zealand, NZ blog rankings. Bookmark the permalink. Yes, sorry. I had entered both sitemeter and statcounter links. Since removed sitemeter so you should only be occuring once on the daily average chart. Statcounter usually returns slightly higher numbers than sitemeter. Then why not enable public access to your stats, then, Glenn? I am sure they are as you say but there is no way of including them without access. Look forward to receiving a link to your stats so that I can add your blog to the database. Keen to get more blogs on board – we are now up to 230. I’m not on the list at all, in spite of a sneaky suspicion that I get rather more traffic than Boganette…but way less than those evil atheist, pro science type blogs. Hey, Paul – that’s a joke, eh? 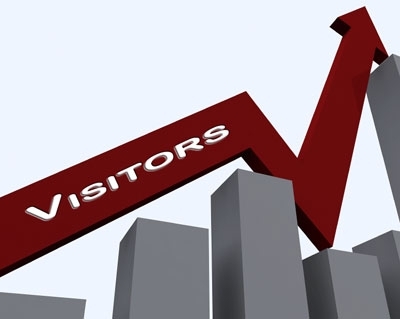 Your blog and mine seem to be continually competing for the same position in the rankings. It’s dog eat dog in the world of pro science blogs! Glenn has now installed a public statcounter and his blog, Say Hello to my Little Friend, is now showing in the rankings for the daily average visits.